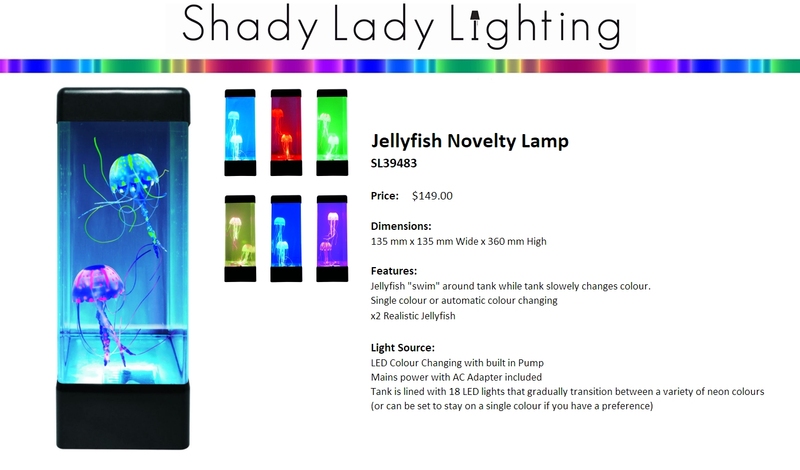 Shady Lady Lighting has a great range of lighting which is contantly being added to and expanded. We will promote a new product reguarly from our range. Please feel free to email us or phone 04-939-2829 if you have any questions, we are always keen to help our customers get the lighting they need. 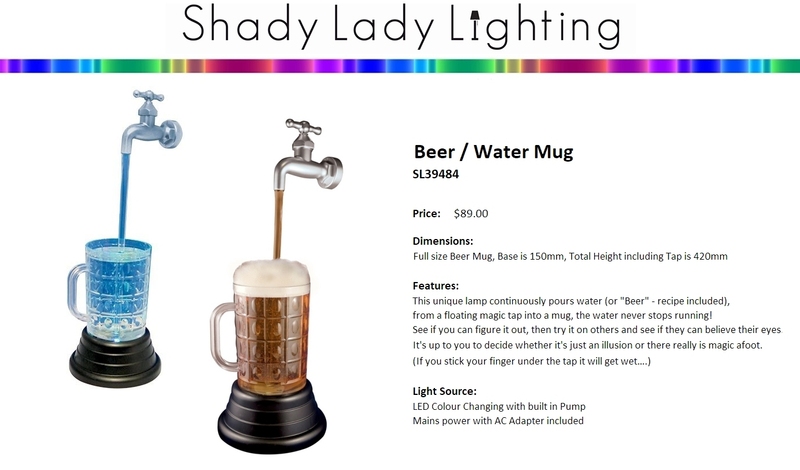 Featured this month are super-cool LED Novelty lamps. They are great fun and need to be seen to be fully appreciated. As an introductory offer, Buy one while its on "Featured Product" promotion, and you will get 10% off the price.